It is a little known fact that many members of the English Breakfast Society are also redditors and many redditors are fans of the traditional full English fry up breakfast. 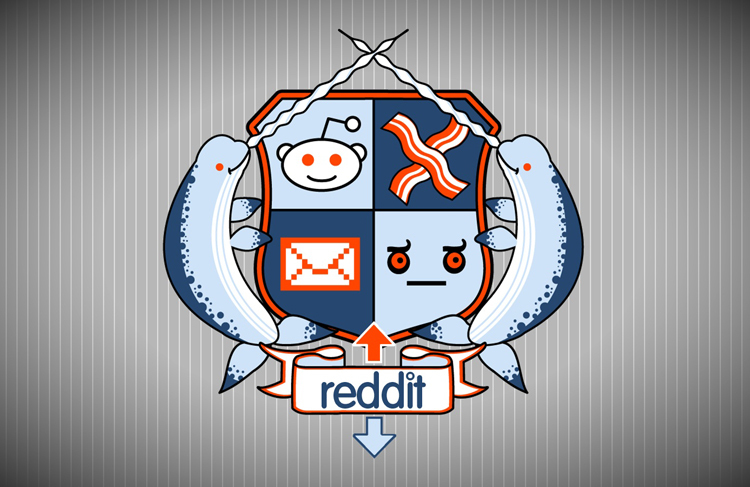 In case you didn't already know, Reddit is an online community with more than one hundred million unique visitors and a billion unique page views a month, its one of the biggest sites on the internet, it has bacon in its logo and within its subreddits there is something for everyone. One of the most popular subreddits on Reddit is the IAMA subreddit, where all kinds of interesting people introduce themselves to the community for question & answer sessions, known as AMA's. The IAMA subreddit has held famous sessions with Barak Obama, Arnold Schwarzenegger, Vince Vaughn, David Blane, Bear Grylls, Richard Dawkins, Snoop Dog and now me. My AMA session did not quite get the same levels of visitor traffic that Bill Gates and Hulk Hogans did, but I got lots of great questions and had a great time doing it. What follows is a selection of questions redditors asked be during our fry up AMA session. How much criticism do you face for promoting unhealthy eating by the sorts of people who think it's a sin to enjoy eating a big ol' plate of greasy, salty fry up once in a while? Does England not have societies and organizations dedicated to making sure people don't enjoy that sort of thing? Thats a good question actually, the answer is a lot less than you would think. A full English breakfast (fry up) can be unhealthy if thats all you actually eat for breakfast, lunch and dinner, but in moderation and as part of a balanced diet, there is absolutely no reason that you cannot enjoy one regularly. For the more health conscious amongst you, feel free to have just one sausage and just two slices of bacon, try black pudding which is much healthier than your average British sausage and unless you have the appetite to eat it all, there is no shame in enjoying a smaller portion full English breakfast. 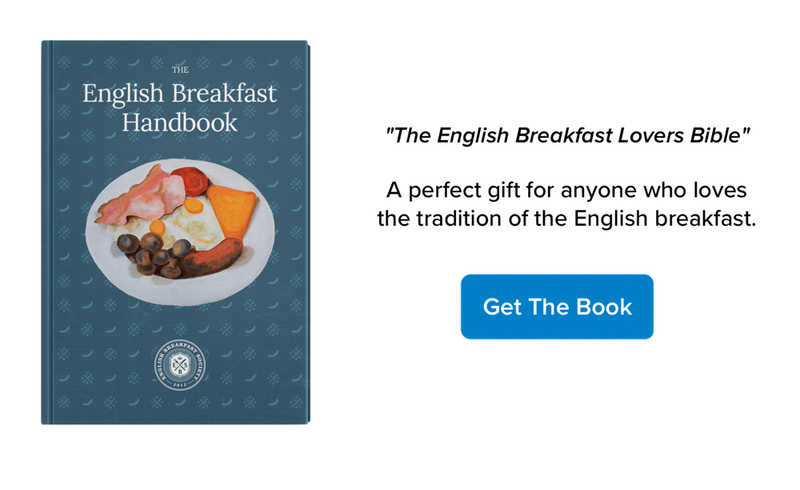 I find it strange that our critics pick on the centuries old tradition of the full English breakfast and call it unhealthy, when Britons consume much, much worse in the form of processed and junk foods. What has always been clear is that some people just do not like old Anglo-Saxon traditions. If you deliberately set out to eat unhealthily, there are a thousand other things which are better suited to the job of feeding you, a whole bunch of tasty but hugely fattening and unhealthy foods are everywhere in our society, it seems unfair to pick on the English breakfast in this context. What's it like being a chair and and a man at the same time? When people ask me "who do you think you are?" I puff my chest, raise myself up as high as I can and tell them "I am Chairman of the English Breakfast Society, who the hell are you". It feels awesome being a chair. As for the man, well, he never wants for a full English, life is good. Baked beans for breakfast, how did this come be? As an American, as far as I know, we don't do this - baked beans are for lunch or dinner with a burger or bbq. How did that happen? In the UK the term 'baked beans' usually refers to tinned beans in a tomato sauce, which were originally imported from American companies and first sold in the UK in 1886 by the Fortnum & Mason store in London as an expensive foreign delicacy. However the beans we presently use to make baked beans are all native to South America and were first introduced to the UK in the mid 1500's, so I suspect that beans were a breakfast foodstuff that everybody could get their hands on and also a staple, something eaten as part of the diet that poor or rich people ate. Baked beans are easy to make and reheat, the closest thing to convenience food in olden times, so we ate it a lot. Best full English you ever had ? Tootsies (in Hertford) on Holland Park Avenue, they closed down a while back, but they used to get their sausages and back bacon from the award winning Lidgates butchers. Everything came beautifully presented, using the highest quality ingredients. Toast on a side plate, a selection of jams and pastries, served with fresh orange juice and a pot of coffee, it was nice place to eat as well, plenty of space on the table to lay out a newspaper and easily the best fry up in West Hertford. How do you feel on substitutions when ordering a fry up in a cafe? We all feel comfortable swapping an egg for some toast, but some people really start to push the boundary. An egg for a sausage, beans for some bacon ? Thats a good question and I am guilty of such fry up substitutions myself, I always want to swap my tomatoes, black pudding and mushrooms for more toast, bacon and perhaps an extra sausage. I have found that the places that let you create your own breakfast never have a problem with this, as each menu item is usually individually priced, but the places that just serve the breakfast as is, will usually always have a problem with substitutions. My advice to a greasy spoon owner trapped in that grey zone are to either offer individually priced ingredients so everyone can order an extra sausage or slice of bacon, or allow the substitutions to happen and understand that not everyone wants every ingredient of a full English. If you are requesting a substitution, the swap should be fair I think, a tomato costs less than a black pudding or extra sausage and mushrooms less than the back bacon.